Turkey May Face Sanctions After EU Court Decision Regarding Jailed Kurdish Politician. 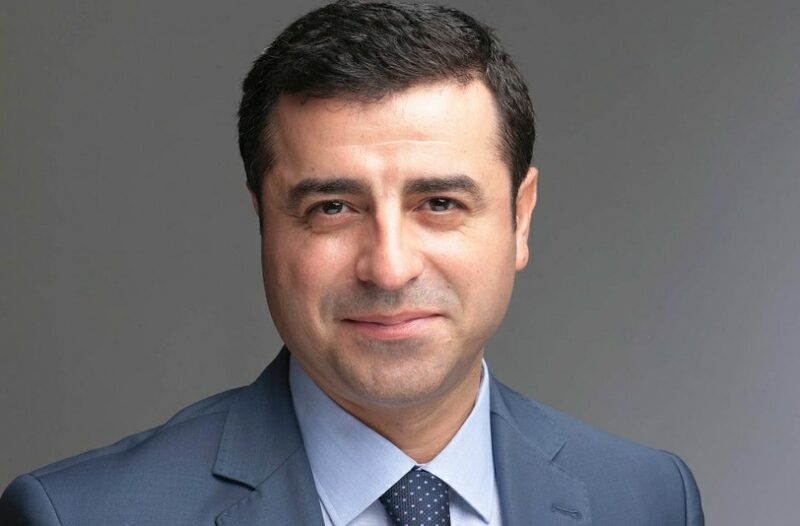 The European Court of Human Rights (ECtHR) called on Turkey to release Selahattin Demirtas, the former co-chairman of pro-Kurdish People’s Democracy Party (HDP), who has been imprisoned for two years and sharply criticized his ongoing imprisonment. In an unusually blunt statement, the ECtHR portrayed Demirtas’s continuing imprisonment as politically motivated. While the court said Demirtas had been arrested on “reasonable suspicion,” the extensions of his detention lacks plausible justification. In November 2016, Demirtas, along with other HDP Co-Chair Figen Yuksekdag, have been arrested on the charges of having links to outlawed Kurdistan Workers’ Party (PKK). He faces dozens of years in prison if convicted. Prosecutors particularly charge him with instigating the violent anti-government protests in October 2014 when HDP supporters took into streets to protest the Erdogan government’s indifference to Islamic State (ISIS) onslaught on the Syrian border town of Kobani. 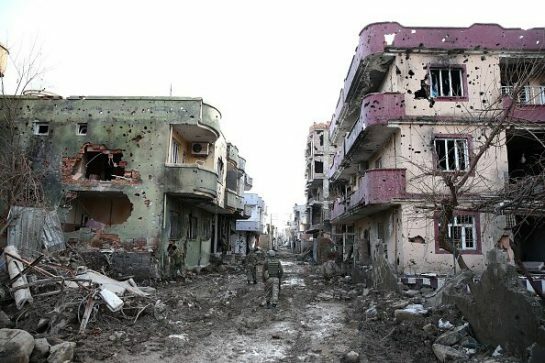 More than 40 people had been killed during Kobani protests across Turkey. Demirtas vehemently denies any role for the outbreak of violence. His imprisonment came when the Turkish government unleashed a massive crackdown on opponents in different quarters of the political spectrum, arresting tens of thousands of people, including HDP lawmakers and supporters. Unlike its verdict and judgment on previous applications from Turkey regarding detention of journalists, the ECtHR invoked the 18th article of European Human Rights Convention in its recent decision, setting the stage for a potential diplomatic showdown. The 18th article appears as binding for the countries against which the verdict was delivered. But President Recep Tayyip Erdogan outright dismissed ECtHR call for the release of Demirtas. “[The extensions of detention] had pursued the predominant ulterior purpose of stifling pluralism and limiting freedom of political debate, which was at the very core of the concept of a democratic society,” the top human rights court said in its statement. “The Court therefore held, unanimously, that the respondent state was to take all necessary measures to put an end to the applicant’s pre-trial detention,” the court added, pressing Turkey to act swiftly. If Turkey refuses to comply with the recent verdict, it would have grave ramifications for Turkey’s relations with the Council of Europe. Ankara may face sanctions in the case of non-compliance and even lose its membership in the Council of Europe, as the 18th article requires for the failing respondent states. On January 11, 2018, Turkey’s Constitutional Court ruled in a criminal case that Mehmet Altan and fellow journalist Sahin Alpay’s rights were being violated by pre-trial detention and ruled that they should be released, nut the 27th High Criminal Court in Istanbul declined to implement the Constitutional Court decision. Following the coup attempt in Turkey on July 15, 2016, and the imposition of a state of emergency, over 180 news outlets have been shut down under laws passed by presidential decree. There are now at least 148 writers, journalists, and media workers in prison, making Turkey the biggest jailer of journalists in the world. Prof. Mehmet Altan and Sahin Alpay are only two of the hundreds of victims of this horrific violation of democratic values and principles within Turkey. Mehmet Altan, the Faculty of Economics at Istanbul University since 1986, was also a journalist working in the daily Sabah (1987-2006) and worked as an editor-in-chief in the daily Star until 2012. He has been dismissed from his newspaper because of the government’s pressures on free media. Sahin Alpay, faculty in Bahcesehir University since 2001, was arrested in 2016. He worked as a writer and editor for Cumhuriyet, Sabah, and Milliyet Newspapers. He directed the “Intellectual Perspective” a weekly program at Turkish CNN and he was a columnist at the now closed-down Zaman Newspaper. He also hosted a program, which aired on the now closed-down Mehtap TV channel. In September 2016, Mehmet Altan and Sahin Alpay were detained as part of a wave of arrests of thinkers and writers following the failed July 2016 coup attempt. Arrested for allegedly giving “subliminal messages” to announce the coup on a television roundtable discussion show, Mr. Altan was charged with attempting to overthrow the “constitutional order”, “interfering with the work of the national assembly”, and “interfering with the work of the government” through violence or force. Amnesty Orange County call the authorities in Turkey to respect and implement the ruling of the Turkish Constitutional Court for Mehmet Altan and Sahin Alpay to be released immediately alongside all the other journalists and writers, including Mehmet Altan’s brother Ahmet Altan who is also among the incarcerated writers and journalists. Embassy of Turkey, Washington, D.C. The Freedom House concludes Turkey is no more a free country. What is next? A new report released by the independent, non-profit and non-partisan watchdog organization Freedom House concluded that democratic principles such as election integrity and freedom of the press, political and civil rights have severely downgraded in Turkey that is no longer ‘a free country.’ The study added that Turkey’s status declined from Partly Free to Not Free due to a deeply flawed constitutional referendum that centralized power in the presidency, the mass replacement of elected mayors with government appointees, arbitrary prosecutions of rights activists and other perceived enemies of the state, and continued purges of state employees, all of which have left citizens hesitant to express their views on sensitive topics. The Freedom House has been publishing annual reports since 1973 for assessing the condition of political rights and civil liberties around the world. It has been a great source for scholars and academics since then. Their methodology is very strong and reliable. Their ranking provides a snapshot of the world and political circumstances in each state. It has always been interpreted seriously by international organizations and financial institutions as well. The report noted that Turkish president Recep Tayyip Erdoğan broadened and intensified the crackdown on his perceived opponents that began after a failed 2016 coup attempt. In addition to its dire consequences for detained Turkish citizens, shuttered media outlets, and seized businesses, the chaotic purge has become intertwined with an offensive against the Kurdish minority, which in turn has fueled Turkey’s diplomatic and military interventions in neighboring Syria and Iraq. According to Freedom House, which analyzed data from 195 countries over the 2017 calendar year, Turkey’s passage over the threshold from Partly Free to Not Free is the culmination of a long and accelerating slide in Freedom in the World. The study also noted that President Erdogan’s response to the July 2016 coup attempt has become a sprawling witch hunt, resulting in the arrest of some 60,000 people, the closure of over 160 media outlets, and the imprisonment of over 150 journalists. The leaders of the third-largest party in the parliament are in prison, and nearly 100 mayors across the country have been replaced through emergency measures or political pressure from the president. The government has even pressed its crackdown beyond. Turkey’s borders, triggering a flood of Interpol “red notice” requests to detain critics abroad, among other effects. How will the report affect the Asylum seekers? Since the controversial coup attempt, thousands of military officials, government officials, academics, and civilians have been detained, arrested or fired from their positions. The purge has led to a large number of these individuals to flee Turkey and seek asylum elsewhere. It is safe to analyze that The Freedom House report will have major consequences on several issues especially asylum applications of thousands of people since the report extensively provided all the necessary data about the failure of democracy in Turkey. The report which confirmed Turkey’s passage over the threshold from ‘Partly Free to Not Free’ is considered both essential and useful for the court processes of the Asylum applications. As a democratic security organization, NATO should clarify its stance and policies towards Turkey, which is openly defined as a non-democracy and not-free? Can NATO promote democratic values while one of its biggest members is already defined a dictatorship by non-partisan international organizations? The recent study by the Freedom House which reports the decline in Turkey’s human rights record may cause some U.S. lawmakers and decision makers to question the country’s NATO membership. The shocking lower court rulings of the last several days rejecting the authority of Turkey’s Constitutional Court to hear individual applications has also been considered as the end of the rule of law in Turkey. This new episode in Turkish judiciary will lead the Turkish citizens who seek legal recourse to violations of their rights at European Court of Human Rights (ECtHR) which still remains a proper venue that they should pursue. The recent study by The Freedom House can definitely be used as a source by the Turkish citizens to strengthen their cases at the ECtHR despite the fact that the ruling processes of the Court may take so long. It is high time for the European Court of Human Rights to step in! Turkey witnessed a coup attempt on 15 July 2016. The 3-month State of the Emergency regime which was declared immediately after the coup attempt (21/07/2016) by the Cabinet “to preserve the democratic order” has since been extended for five times.Despite calls by the European Union, the Council of Europe, and the Venice Commission and numerous human rights institutions for the Turkish government to end it, the State of Emergency Regime remains in effect. In defiance of its purpose, The Turkish government has subversively used the State of Emergency Regime against the country’s democratic parliamentary system, the rule of law and human rights. -As of today, a total of 128,998 people have been taken into custody for terrorism-related offenses (being the members of an armed terrorist organization. 100 people a day are being arrested on average. -1,020 private companies have been seized. On the face of these human rights breaches, European Court of Human Rights is the ultimate hope of the victims. Yet, the ECHR has been consistently refusing applications on the grounds that the domestic remedies in Turkey is not yet consummated.In order to prevent conviction at the ECHR, the Turkish government instituted the Constitutional Court as an additional court of appeal for individuals and established a highly unproductive Commission on Statutory Decrees Under State of Emergency. Neither institution helps the victims. -On 15 January 2018, Istanbul 14th and 27th High Penal Courts turned down objections from the lawyers of Altan and Alpay that the decision of the TCC had to be implemented without delay and ordered their detention to continue. In the light of the above, there is without a doubt no effective domestic remedy in Turkey and the judicial hierarchy as determined by the Turkish Constitution has been disrupted. We, therefore, urge The European Court of Human Rights to reconsider its current view that the Turkish Constitutional Court offers an effective domestic remedy and start without further delay reconsidering applications brought by thousands of victims against Turkey. In recent years and in particular in the aftermath of attempted coup of July 15, 2016, the Turkish government has been targeting dissidents belonging to different ideologies. Among the many dissident groups, in particular the Gulen Movement has been the primary target. The members or sympathizers of the movement have been subject to extreme and unlawful measures, including dismissals, detention, arrest, imprisonment, enforced and involuntary disappearance, seizure of their assets and passport cancellation. International organizations, including the United Nations, the Council of Europe and the European Union have repeatedly expressed their grave concern regarding the human rights violations perpetrated on individuals by the government. Repeated calls to Turkey to comply with its obligations under its own legislation and the international human rights law have however had little, if any effect to the improvement of the human rights situation in the country. The far-reaching, increasingly repressive and almost unlimited discretionary powers exercised by the Turkish authorities during the state of emergency – now in its 15th month – endanger the general principles of rule of law and human rights safeguards, the ones the state of emergency is designed to protect. The human rights protection system of the Council of Europe thus represented, a glimmer of hope for the people of Turkey as it has been traditionally one of the most successful systems in the world protecting human rights and fundamental freedoms, which decisions are also binding for Turkey. Regrettably, the European Court of Human Rights (hereinafter “ECtHR”), which monitors the implementation of the European Convention on Human Rights in the Council of Europe member states has been rejecting the applications related to recent events taking place in Turkey on the ground that the applicants have not exhausted domestic remedies. The Court specifically refers to the need to exhaust “available” domestic remedies, i.e. including the complaint procedure presumably offered through the establishment of the State of Emergency Inquiry Commission (hereinafter “the Commission”), as provided for in Emergency Decree 685. The brief analysis in this section argues that the establishment of the Commission cannot be an effective remedy for more than 100,000 dismissed individuals. In absence of any clear procedure to challenge decisions on their abrupt dismissal, public officials dismissed from office and organizations dissolved by emergency decrees launched either individual or concurrent appeals with administrative bodies (administrative remedy), administrative courts, the Constitutional Court and the European Court of Human Rights . The outcome of the appeals has been devastating for hundreds of thousands of families and entire communities across Turkey. Few administrative appeals have been relatively successful in restoring several individuals in their former positions. Administrative appeals however are not guided by any rules or principles and in no respect can these appeals be regarded as an effective remedy. In the aftermath of July 15, 2016, both the Constitutional Court and the ECtHR were flooded with individual applications originating from Turkey. 8,308 applications were lodged with the ECtHR against Turkey in 2016, compared to only 2,212 in the previous year . If necessary measures were not taken, having into account that most dismissals have not yet been brought before the ECtHR in the post July 15 context, it was obvious that the sheer volume of applications yet to reach the ECtHR, seriously risked bringing down the entire ECtHR system. The Venice Commission noted in the above context that both administrative courts and individual application to the Constitutional Court were not available to public officials who were dismissed by Emergency Decrees. Having made this determination, the Venice Commission recommended that the government establish an ad hoc commission to review the State of Emergency measures. The Secretary General of the Council of Europe made a similar recommendation, which was supported by an ad hoc sub-committee established by the Parliamentary Assembly of the Council of Europe. With the intention to preempt sharp criticism from the Council of Europe resulting from its relentless crackdown on dissent, the government issued Emergency Decree 685, which establishes the Commission. To illustrate the immediate effect of its issuance, on the same day the Emergency Decree was published (January 23, 2017), the Parliamentary Assembly of the Council of Europe rejected the request to hold an urgent debate on Turkey. By mid-November 2017 the Commission has received more than 100,000 cases from different occupational groups such as military personnel, police officers, teachers and academics. Since its establishment the Commission has taken no single decision on any of the hundreds of thousands of applications it has received ever since. As a matter of fact, the government is yet to appoint a president to head the Commission. Even if the Commission begins its work immediately, there will still be doubts regarding its impartiality, just as the judicial system in general. These concerns have been, inter alia, raised by various governmental, intergovernmental and non-governmental organizations as well as legal and human rights experts. Former judge of the ECtHR Riza Turmen, for instance, has argued that possible non-transparency of the Commission’s work and appointment of its members create reasonable questions regarding its independence. First, the seven members of the Commission are chosen from the same institutions that have decided for the dismissals. The principles of independence and impartiality are thus disregarded from its inception. Second, even based on the most optimistic estimates and presuming that it performs its work in good faith – given the workload, it will take many years for the seven-member Commission to review hundreds of thousands of applications – that is only one of the subsequent domestic remedies to be exhausted. Third, for cases reversed by the administrative courts, the appeals or the Constitutional Court, the cycle of exhaustion of domestic remedies will take many more years and those cases will probably never be able to reach the ECtHR, or even their day in court. Fourth, pursuant to Article 9 of KHK 685, “the Commission shall perform its examinations on the basis of the documents in the files,” which are out of reach of those dismissed. In absence of any knowledge on the entities or groups which were presumably designated by the National Security Council as being “terrorist organizations”, this fact alone wipes-out the opportunity of those dismissed to have any defense, let alone effective defense. Fifth, the Commission is presumed to work and take its decisions on the basis of information and documents provided by the government, which can decide on a case-by-case basis which documents to disclose. 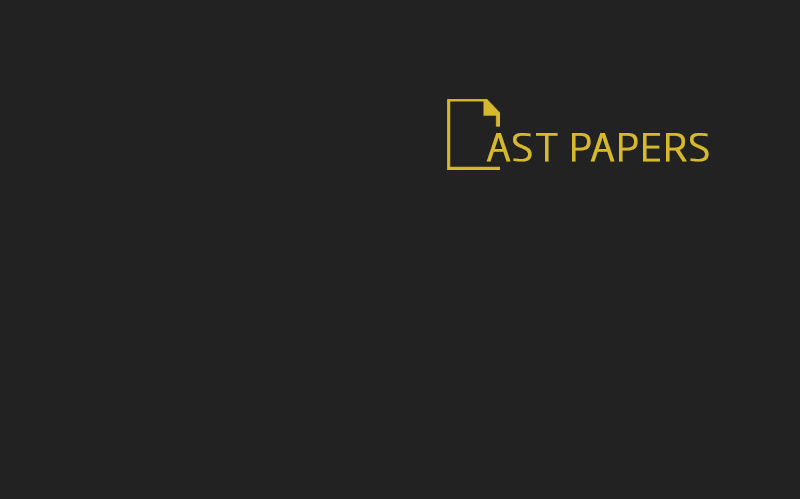 Even if the government would be willing to disclose all relevant documents to the Commission – the later has no authority in reviewing classified documents. Since the dismissals have been argued on basis of terrorist affiliation which undermines, inter alia, national security – most of the documents that the government claims to have played a role in the dismissals, as state secrets, will be out of the reach of the Committee. The establishment of the Commission is expected to create much more serious consequences. Hundreds of thousands of individuals who have suffered injustice will turn to the ECtHR in several years later as the Commission will not provide any justice. By that time the government would have “acquired” between approximately two to ten years, maybe more. During the same time, hundreds of thousands of people will have suffered tremendously without any available remedy. During this long period, the applicants not only will be condemned to a “slow death” – they will also continue to bear the label of ‘terrorist’. They shall not be eligible to work in public service and their social security records will show that they were dismissed by an emergency decree. Based on the complicated procedures related to the Commission, it is expected that individuals who are denied the opportunity to challenge the criminal charges against them for an entire year, will wait before an administrative commission for years and then apply for an administrative judicial review, which, as explained above, has no power to remedy the situation. In short, this is undoubtedly a reversal of the presumption of innocence. Rule of law within the country has started to be weakened by the government’s policies. According to the World Justice Project’s Rule of Law Index, Turkey was ranked among the worst 15 out of 113 countries, dropping 8 positions compared to the last year and trailing countries such as Iran, Russia, Guatemala and Myanmar. The Index is calculated taking into consideration different crucial components such as “Constraints on Government Power, Absence of Corruption, Open Government, Fundamental Rights, Order and Security, Regulatory Enforcement, Civil Justice and Criminal Justice,” and Turkey’s scores are not promising in any of these. Moreover, consecutive reports prepared by the Venice Commission have been pointing out the problems regarding the rule of law. The Venice Commission has published detailed reports and opinions on the situation in Turkey most of which have common points. Especially after the attempted coup in 2016, measures taken in the country failed to meet the requirements of the rule of law such as necessity and proportionality. Additionally, the basic principle of separation of powers is under threat for a long time, risking the independence of judiciary. The three crucial components of what constitutes a fair trial, namely the defense, the prosecution and the courts, have all collapsed in Turkey in recent years, turning the judicial system into merely an extension of the political authority that thwarts an effective defense and appoints (or better employs) partisan and loyalist prosecutors and judges. Dismissals of judges in particular have had an adverse and devastating effect on the Turkish judiciary, its independence and the effectiveness of the principle of separation of powers. In the current circumstances, when thousands of judges are detained and imprisoned (close to one-third of judges and prosecutors), it is inconceivable that the remaining judges could reverse any measure declared under the emergency decree laws out of fear of becoming subject to such measures themselves. The U.S. State Department’s Human Rights Report in 2016 has explicitly asserted that the government’s applications have a “chilling effect on judicial independence” especially as regards the politically sensitive cases. Likewise, the Human Rights Watch and Amnesty International have expressed their concerns that imprisonment and dismissal of officials jeopardize judicial independence, and moreover that new laws tying the judiciary to the executive poses a clear threat to the rule of law. Both organizations are rightfully worried about the newly created appointment system of judges and prosecutors as well as recently established courts with power over politically sensitive investigations. Similarly, the International Commission of Jurists (ICJ) has indicated that the “selection and appointment process as a whole is highly susceptible to executive manipulation, and likely to be weighted against candidates who are not seen as supportive of the government.” The ICJ has also drawn attention to the criminal charges against judges and prosecutors and specified that many officials from the judiciary were dismissed because their judgments were conflicting government’s interests. According to the ICJ this amount of interference with the judiciary is clearly against internationally accepted standards. The International Commission of Jurists and other international organizations have determined that the independence of the judiciary has now been eroded to its core in Turkey. In December 2016, the Board of the European Network of Councils for the Judiciary (ENCJ) concluded that the Turkish High Council for Judges and Prosecutors (HSYK) no longer meets the requirements of the ENCJ, so as to ensure the independence of the Turkish Judiciary. The ENCJ General Assembly accordingly resolved to suspend, with no Council member voting against, the observer status of the Turkish High Council for Judges and Prosecutors (HSYK). The above concerns were also voiced by the former chief justice of the Turkish Constitutional Court, Hasim Kilic, who stated that “Everybody knows the political views of judges and prosecutors, even in the remotest villages of the country. We cannot move forward with such a judiciary,” and he continued “The judiciary is not an instrument of revenge, it is not anyone’s tool to achieve their aims.” Ergun Ozbudun, Professor of Political Science and Constitutional Law, also raised similar concerns when he commented on the proposed constitutional amendment (which was adopted through referendum afterwards) and said “What we have here is the weakening of legislation while the president, with full executive powers, forms a parliament under his influence.” Furthermore, Metin Feyzioglu, head of the Turkish Bar Association, stated that “This is a system that will finish judicial integrity and sovereignty,” reminding that half of the judges are to be appointed by the president. The list of similar reports and statements raising above-mentioned concerns grows everyday thanks to the government’s new actions. In the light of all the above, one can conclude that the judicial system in Turkey has been weakened by the government’s actions, therefore; it is highly likely that judges cannot give verdict against the ruling party’s interests not to face different types of punishments including imprisonment. There have been cases in the past where the European Court examined the cases substantially even though the domestic remedies were not exhausted, when it was believed that they were not available or not going to be effective. For instance, in Akdivar v. Turkey (1996) case the Court stated that the Court “must take realistic account not only of the existence of formal remedies in the legal system of the Contracting Party concerned but also of the general legal and political context in which they operate as well as the personal circumstances of the applicants.” Hence, merely having the domestic rules providing remedies to the victims is not seen as satisfactory by the ECtHR. We believe the current situation in Turkey as well falls into this category and warrants immediate action by the Court. Hence, the ECtHR should not reject cases on the ground that the applicants could have gone to the domestic authorities from which, with great deal of certainty they will not receive any effective remedy.